t*rexes and tiaras: Tuesday Titles 062.. So, this book isn't my usual choice. Amy passed this one on to me when we were away a couple of weekends ago and I got stuck straight in. Paul is an art student in 1914. After bad feedback from his tutors, he's full of self-doubt, which no doubt makes it easier for him to walk away from his art, and his beloved Elinor, when war breaks out. Although he isn't accepted into the army, due to previous illness, Paul has a dream to drive one of the trench ambulances and after some time spent assisting in the hospital, he is able to live his dream. 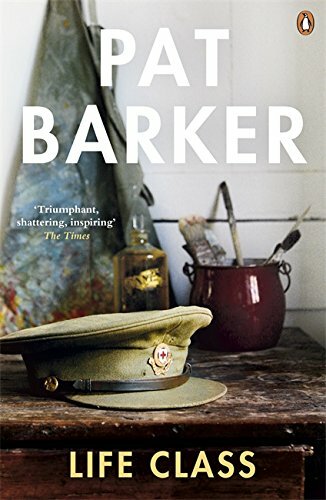 Letters between Paul and Elinor paint the picture (pun intended) of their experiences; first-hand in Paul's case, whilst Elinor tells him of the situation in London, where she has remained and continues to paint. Elinor comes across as a fairly selfish and unlikeable being, in my opinion, and despite the fact it's clear that as the reader, I'm supposed to be rooting for their love story, I really wasn't. Let me know if you've read this and what you thought? Ooooh, I like the sound of this! !